The Workbook is organized in 365 Lessons, one for every day of a year. I worked my way through these lessons several times by reading one lesson a day while driving for fourteen years about thirty-five miles back and forth to work at a nuclear power plant. Those daily doses of the Workbook helped me survive the grueling ten and twelve hour days plus two hours of driving time, often six and sometimes seven days a week. My date glyphes in the Text indicate that I read it completely through three times. My first reading of the Text began(3) in April 1981 and finished May 1981; the second reading began April 8, 1986 and ended on September 25, 1986; my third reading began November 8, 1990 and finished about May of 1992. 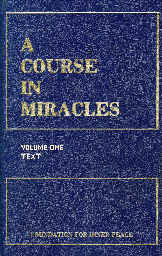 I mention the extent of my reading by way of indicating that coming to terms with "A Course in Miracles" requires years of commitment to reading and studying, and one reading should be considered but a springboard to immerse oneself in the depths of this material. Just as one cannot understand a pool without getting soaked, one cannot understand this Course without getting thoroughly soaked in its concepts and spirituality. [page 122] The whole purpose of this course is to teach you that the ego is unbelievable and will forever be unbelievable. You who made the ego by believing the unbelievable cannot make this judgment alone. By accepting the Atonement for yourself, you are deciding against the belief that you can be alone, thus dispelling the idea of separation and affirming your true identification with the whole Kingdom as literally part of you. This identification is as beyond doubt as it is beyond belief. Your wholeness has no limits because being is infinity. You will not fully understand the above summary, however, until you have read the entire Text through at least once, but it will point out several words you will need to come to terms with while reading the Text. To come to terms with a book means coming to understand each and every term used in the book. This is a secret to reading that I first found elaborated for me by Mortimer Adler in his classic book, How To Read A Book. Specifically you must come to understand what the Text means by the word "ego" and the capitalized words "Atonement" and "Kingdom." By the end of this review, I hope to have made these words graspable by you, dear Readers, but if some of you are unsuccessful in accomplishing this by reading the review, you will know what needs doing when you tackle the Text and the Workbook. Chapter 1 begins with a List of 50 Principles of Miracles or everything you need to know about miracles before you begin reading the Text per se. Since few of these will make any sense to you before you start, consider them as a list of things to learn as you work your way through the Text and the Workbook, consider them as Unanswered Questions by simply adding "How can it be that ..." to the beginning of each of the 50 affirmative statements. In time, your answer to each of your unanswered questions will come, usually when you are not expecting it. Getting an answer to an unanswered question is a miracle itself — as Principle 5 tells us: "Miracles are habits, and should be involuntary." Posing for yourself an unanswered question and allowing the answer to arise involuntarily is in keeping with Principle 5. You may wonder, "Why not work on coming up with an answer to a question immediately when it arises?" Sure, that makes sense, but often you are presented with puzzling questions for which no answer arises immediately. You may think, "It will take a miracle for me to figure this out." and you would be right. So when this happens, simply remind yourself, this is one of those unanswered questions for which the answer will arise in me eventually and involuntarily. If you will do so, you will be in keeping with the remainder of Principle 5 which says about miracles, "They should not be under conscious control. Consciously selected miracles can be misguided." A few minutes ago I saw a glimpse of a movie scene in which a famous seminar leader hypnotized a young man so the young man could attract young women irresistibly to himself. One can easily comprehend that this hypnosis was an attempt to create conscious control of actions which were unconscious for the young man, truly the epitome of a misguided action. The previous paragraph is an illustration of how I worked my own way through Principle 5 over the years. Each of these principles can be worked through in your own life, but this cannot happen to you merely by reading them, but only by posing for yourself each principle as an unanswered question and subsequently working and studying your way through the thousand-plus pages of the Text and the Workbook and by living your life over the years as you work your way through the Course. Each unanswered question will create in you an answer, or many answers, in unexpected and unwilled for ways. In this way the guidance you receive will be true and right for you. The answers you receive in this way cannot be wrong for you and qualify as miracles. [page 1] Principle 6. Miracles are natural. When they do not occur something has gone wrong. The example I mentioned of the famous seminar leader illustrates an example of creating a spectacle to impress people so that they will pay money to him to perform miracles in their lives. If the seminar guru understood Principle 10, he would be unable to continue his activities. [page 1] Principle 10. The use of miracles as spectacles to induce belief is a misunderstanding of their purpose. When one performs miracles one becomes a giver and a receiver of love. If money is allowed to become part of the exchange, one quickly finds that the loves dissolves along with the miracles. The reason can be glimpsed by reading No. 9. [page 1] Principle 9. Miracles are a kind of exchange. Like all expressions of love, which are always miraculous in the true sense, the exchange reverses the physical laws. They bring more love both to the giver and to the receiver. The most powerful principle I encountered was No. 13 which is paradoxical on the face of it. How can something be both a beginning and an ending? [page 1, 2] Principle 13. Miracles are both beginnings and endings, and so they alter the temporal order. They are always affirmations of rebirth, which seem to go back but really go forward. They undo the past in the present, and thus release the future. How did I learn to undo the past in the present, and release the future in the process? My unanswered question about No. 13 arrived with an answer I called "the limitation eraser" which is embodied in Matherne's Rules #9. This may be the first time you have heard of the limitation eraser, up until now. If you had nowhere in your own past heard of the limitation eraser, when you perused the previous sentence in the present, it made you aware of the limitation eraser and thereby released a new future in you. This meets the conditions of No. 13 above, does it not? The limitation eraser works by adding the phrase ", up until now" to some limitation you are expressing, and it automatically undoes your past in the present, and releases your future. It creates an affirmation of rebirth for you if you will simply pause after stating some limitation (the pause is represented by the comma), take a breath, and add immediately the affirmation "up until now." This is always a true statement because whatever has happened to you, what you believe to be the case about your life is only prologue — a change of attitude can result as soon you pause, take a breath, and add "up until now." You can recognize that life moves forward from the present and the limitation eraser will allow you to move forward in a new birth of freedom from the past when you apply it in your present. Do this: say it again and allow yourself to feel what happens inside of you as you say it: "I have never applied the limitation eraser, up until now." Then say these two sentences from MR#9 and MR#10 and discover if they ring true for you, "My past stayed my present, up until now. A new future awaits me from now on ." There are miracles waiting for you in your future that only you can find. You might even try saying this sentence: "Miracles have been hard for me, up until now. They will be easy from now on." And most importantly remember this: if any portion of the material above or in this review makes no sense to you, turn that portion into an unanswered question. [page 2,3] Principle 16. Miracles represent freedom from fear. "Atoning" means "undoing." The undoing of fear is an essential part of the Atonement value of miracles. In No. 16 above, you can glimpse a partial answer to the unanswered question, "What does Atonement mean?" Atonement can be parsed into "At-one-ment" or the "state of being at one with the world". In effect, you create fear — and the very thing you fear, at its basic level, is being separated from the world. To achieve "At-one-ment" with the world again, one simply undoes the fear which created the separation in the first place. If you say you cannot undo your fear, that is a limitation which you have accepted, up until now. Was it not? Apply the limitation eraser and find yourself free of fear from now on. Application of the limitation eraser to your fears, one at a time, can be a giant step on your path to Atonement. [page 2,3] Principle 40. Wholeness is the perceptual content of miracles. They thus correct, or atone for, the faulty perception of lack. If the limitation eraser doesn't seem to work for you, you may wonder why. Wonder is an example of holding an unanswered question. Wonder is thus the first step to rebirth. Wonder is the first step to wholeness. Wonder is the first step to removing lack. How is that possible? Lack is a perception based on fear. When Christ Jesus charged his disciples to go out into the world, He said for them to take only the garments on their backs and their sandals. They were to go without fear into world and leave behind any perception of lack. The disciples might have thought when they received this charge, "I would not have considered this possible, up until now." They undid their past in their present and released a future in which we live, still marveling at the results of their replacing the fear of lack with the lack of fear. Here we are thousands of years later still learning what the disciples learned back then. How was this possible for them to have learned something we had to wait thousands of years to learn for ourselves? If it seems like a miracle, it was. [page 6] The miracle substitutes for learning that might have taken thousands of years. It does so by the underlying recognition of perfect equality of giver and receiver on which the miracle rests. The miracle shortens time by collapsing it, thus eliminating certain intervals within it. Who is the narrator of the Text? One must come to terms with the identity of the narrator if one is to understand and benefit from the Text. Whether one agrees with the premise of the Text that the narrator is Christ Jesus matters not. This material was channeled and claims no other author. The key is to decide for oneself whether the narrator speaks as if he were the being he claims to be. In this next passage he claims to have nothing which does not come from God, while it may be apparent to you and me that we have things which do not come from God. It is a condition of our humanness that we have received these things which have precipitated our fall into sin and error which did not come from God. When we read the narrator, we read of His connection with God, with the Holy Spirit and with us. And His connection with us, He likens to that of an elder brother. [page 4,5] Revelation induces complete but temporary suspension of doubt and fear. It reflects the original form of communication between God and His creations, involving the extremely personal sense of creation sometimes sought in physical relationships. Physical closeness cannot achieve it. Miracles, however, are genuinely interpersonal, and result in true closeness to others. Revelation unites you directly with God. Miracles unite you directly with your brother. Neither emanates from consciousness, but both are experienced there. Consciousness is the state that induces action, though it does not inspire it. You are free to believe what you choose, and what you do attests to what you believe. Revelation is intensely personal and cannot be meaningfully translated. That is why any attempt to describe it in words is impossible. Revelation induces only experience. Miracles, on the other hand, induce action. They are more useful now because of their interpersonal nature. In this phase of learning, working miracles is important because freedom from fear cannot be thrust upon you. Revelation is literally unspeakable because it is an experience of unspeakable love. Awe should be reserved for revelation, to which it is perfectly and correctly applicable. It is not appropriate for miracles because a state of awe is worshipful, implying that one of a lesser order stands before his Creator. You are a perfect creation, and should experience awe only in the presence of the Creator of perfection. The miracle is therefore a sign of love among equals. Equals should not be in awe of one another because awe implies inequality. It is therefore an inappropriate reaction to me. An elder brother is entitled to respect for his greater experience, and obedience for his greater wisdom. He is also entitled to love because he is a brother, and to devotion if he is devoted. It is only my devotion that entitles me to yours. There is nothing about me that you cannot attain. I have nothing that does not come from God. The difference between us now is that I have nothing else. This leaves me in a state which is only potential in you. He is our bridge to God because He is able to serve as an elder brother to us on one hand while serving as a Son of God on the other. He also activates the Holy Spirit when we require revelation. [page 5, 6] "No man cometh unto the Father but by me" does not mean that I am in any way separate or different from you except in time, and time does not really exist. The statement is more meaningful in terms of a vertical rather than a horizontal axis. You stand below me and I stand below God. In the process of "rising up," I am higher because without me the distance between God and man would be too great for you to encompass. I bridge the distance as an elder brother to you on the one hand, and as a Son of God on the other. My devotion to my brothers has placed me in charge of the Sonship, which I render complete because I share it. This may appear to contradict the statement "I and my Father are one," but there are two parts to the statement in recognition that the Father is greater. Revelations are indirectly inspired by me because I am close to the Holy Spirit, and alert to the revelation-readiness of my brothers. I can thus bring down to them more than they can draw down to themselves. The Holy Spirit mediates higher to lower communication, keeping the direct channel from God to you open for revelation. Revelation is not reciprocal. It proceeds from God to you, but not from you to God. This next passage about the nature of the miracle reminds me of a statement by Francis Bacon of Verulam to the effect that his new science should not be judged by the very laws it sought to overturn. This is ever the dilemma and challenge of an innovator or artist. If the work they bring into the world is indeed new, nothing exists but what would claim that their work is useless, ugly, or bad(4). [page 8] Since the miracle aims at restoring the awareness of reality, it would not be useful if it were bound by laws that govern the error it aims to correct. Another amazing concept is illuminated in the next passage which illustrates that the very people who created death and hell-fire are the ones torturing themselves with it. They seem hellbent to prove to others the reality of death and hell by creating a physical hell within their own lives. They remind me of the hypochondriac who chose this epitaph for her tombstone: "See! I told you I was sick." [page 9] The emptiness engendered by fear must be replaced by forgiveness. That is what the Bible means by "There is no death," and why I could demonstrate that death does not exist. I came to fulfill the law by reinterpreting it. The law itself, if properly understood, offers only protection. It is those who have not yet changed their minds who brought the "hell-fire" concept into it. I assure you that I will witness for anyone who lets me, and to whatever extent he permits it. Your witnessing demonstrates your belief, and thus strengthens it. Those who witness for me are expressing, through their miracles, that they have abandoned the belief in deprivation in favor of the abundance they have learned belongs to them. This next passage reinterprets for us the Bible verse about becoming as "little children" and explains why it is important for us to do so. [page 10] When the Atonement has been completed, all talents will be shared by all the Sons of God. God is not partial. All His children have His total love, and all His gifts are freely given to everyone alike. "Except as ye become as little children" means that unless you fully recognize your complete dependence on God, you cannot know the real power of the Son in his true relationship with the Father. The specialness of God's Sons does not stem from exclusion but from inclusion. All my brothers are special. If they believe they are deprived of anything, their perception becomes distorted. When this occurs the whole family of God, or the Sonship, is impaired in its relationships. A miracle is a removal of the distortion of perception. It removes at the same time any sense of separation we feel as a result of the distortion we have made. [page 11] A sense of separation from God is the only lack you really need correct. This sense of separation would never have arisen if you had not distorted your perception of truth, and had thus perceived yourself as lacking. The idea of order of needs arose because, having made this fundamental error, you had already fragmented yourself into levels with different needs. As you integrate you become one, and your needs become one accordingly. Unified needs lead to unified action, because this produces a lack of conflict. "All meanings are true" is the statement of MR#6, which I abbreviate as AMAT. This rule exists to remind me that I create meanings in myself — they are true because I created them. The same is true for everyone in the world: all meanings are true to the person who created the meaning or accepted the meaning as true from someone else. Consider what happens if you create or accept something like fear. [page 11,12] The real purpose of this world is to use it to correct your unbelief. You can never control the effects of fear yourself, because you made fear, and you believe in what you made. In attitude, then, though not in content, you resemble your Creator, Who has perfect faith in His creations because He created them. Belief produces the acceptance of existence. That is why you can believe what no one else thinks is true. It is true for you because it was made by you. On page 15 we are told that the Bible says Adam fell into a deep sleep, but it does not say that Adam ever arose from that sleep. As descendants of Adam we remain in that deep sleep spoken of in the Bible until we awaken. [page 15] If a light is suddenly turned on while someone is dreaming a fearful dream, he may initially interpret the light itself as part of his dream and be afraid of it. In the margins I noted on April 10, 1986 that fundamentalist Christian ministers were expressing fear at the rise of New Age interest in the occult. Rightly understood, the occult is but the repressed expression of ancient wisdom or light, and the very word occult frightens those people who are asleep spiritually. One must be awake spiritually to be able to view the spiritual realities without alarm or fear. The miracle can heal any lies you may believe with equal facility because peace is a natural state inside of you, a natural ease which can only be disturbed or converted into disease by some form of searching for peace outside of yourself. [page 15] In reality you are perfectly unaffected by all expressions of lack of love. These can be from yourself and others, from yourself to others, or from others to you. Peace is an attribute in you. You cannot find it outside. Illness is some form of external searching. Health is inner peace. It enables you to remain unshaken by lack of love from without and capable, through your acceptance of miracles, of correcting the conditions proceeding from lack of love in others. When we watch news programs indiscriminately every night, we get all kinds of human misery paraded before our eyes and ears. We get to hear people express fears of every kind, and we may even pick up new fears of things we were blithely unaware of, fears which can crowd themselves into the forefront of our thoughts and prevent us from the everyday miracles of health and peace we would otherwise be heir to. [page 15, 16] You can do anything I ask. I have asked you to perform miracles, and have made it clear that miracles are natural, corrective, healing and universal. There is nothing they cannot do, but they cannot be performed in the spirit of doubt or fear. When you are afraid of anything, you are acknowledging its power to hurt you. Remember that where your heart is, there is your treasure also. You believe in what you value. If you are afraid, you will inevitably value wrongly, and by endowing all thoughts with equal power will inevitably destroy peace. Should you deny yourself of news programs, talk shows, and topical sitcoms which might fill you with fear? Isn't denial a sign of the presence of fear? Never fear. Denial is a tool in right-thinking hands. [page 16] True denial is a powerful protective device. You can and should deny any belief that error can hurt you. This kind of denial is not a concealment but a correction. Your right mind depends on it. Denial of error is a strong defense of truth but denial of truth results in miscreation, the projection of the ego. In the service of the right mind the denial of error frees the mind, and re-establishes the freedom of the will. When the will is really free it cannot miscreate, because it recognizes only truth. In truth, all diseases or illnesses of the body come from miscreation by the mind. Level confusion, as used in the next passage, refers to mistaking the things in the body as originating in the body, rather than in their true source, the mind. The matter is dead so far as the body is concerned — physical matter is dead and cannot create something that the mind cannot control. The belief that there is something the mind cannot control is an error. In situations where this may seem otherwise, one need only wait patiently — the source of error stemming from the mind will be revealed in due time. 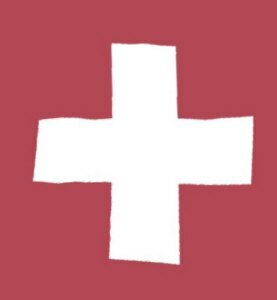 [page 19] Sickness or "not-right-mindedness" is the result of level confusion, because it always entails the belief that what is amiss on one level can adversely affect another. We have referred to miracles as the means of correcting level confusion, for all mistakes must be corrected at the level on which they occur. Only the mind is capable of error. The body can act wrongly only when it is responding to misthought. The body cannot create, and the belief that it can, a fundamental error, produces all physical symptoms. Physical illness represents a belief in magic. The whole distortion that made magic rests on the belief that there is a creative ability in matter which the mind cannot control. What can we do when we look upon someone who lacks right-mindedness? Charity is the answer. [page 23] Charity is a way of looking at another as if he had already gone far beyond his actual accomplishments in time. Since his own thinking is faulty he cannot see the Atonement for himself, or he would have no need of charity. The charity that is accorded him is both an acknowledgment that he needs help, and a recognition that he will accept it. [page 24, 25] Being afraid seems to be involuntary; something beyond your own control. Yet I have said already that only constructive acts should be involuntary. My control can take over everything that does not matter, while my guidance can direct everything that does, if you so choose. Fear cannot be controlled by me, but it can be self-controlled. Fear prevents me from giving you my control. The presence of fear shows that you have raised body thoughts to the level of the mind. This removes them from my control, and makes you feel personally responsible for them. This is an obvious confusion of levels. The narrator even evinces a sense of humor at times, such as in this next passage in which He talks specifically to those of us who complain about fear but persist in making ourselves fearful. He says He cannot interfere in what we think because that would devalue our own power of thinking in opposition to the purpose of this Course. [page 27] It is much more helpful to remind you that you do not guard your thoughts carefully enough. You may feel that at this point it would take a miracle to enable you to do this, which is perfectly true. One of the tools of hell-fire and damnation used by fundamentalist ministers and others is the Last Judgment. We are asked to envision millions being throw into a fiery pit for eternity, or some such harsh administration of corporeal punishment to unbelievers and sinners. This vision is at odds with the narrator's description of the Last Judgment. [page 30] The Last Judgment is generally thought of as a procedure undertaken by God. Actually it will be undertaken by my brothers with my help. It is a final healing rather than a meting out of punishment, however much you may think that punishment is deserved. Punishment is a concept totally opposed to right-mindedness, and the aim of the Last Judgment is to restore right-mindedness to you. The last Judgment might be called a process of right evaluation. It simply means that everyone will finally come to understand what is worthy and what is not. After this, the ability to choose can be directed rationally. Until this distinction is made, however, the vacillations between free and imprisoned will cannot but continue. Rudolf Steiner said, "When knowledge ends, discussion begins." When Christ was experienced directly in the Bread during the sacrifice of the Mass, there was no discussion about the meaning of transubstantiation. It was only after the direct perception and knowledge was lost that discussion of its meaning began. The narrator makes a similar statement in this next passage. [page 36] Knowledge is timeless, because certainty is not questionable. You know when you have ceased to ask questions. In other words, you have knowledge when discussion stops and discussion stops when you cease asking questions. People like stability, but few understand the horrible price they pay for stability when they create stability by believing that the present will continue as it is into the future. If they are successful at creating stability this way, they will lose all ability to question. When that happens, their knowledge will be timeless, but not worth having. They will have created a certainty of discomfort, pain, and misfortune. [page 36] The questioning mind perceives itself in time, and therefore looks for future answers. The closed mind believes the future and the present will be the same. This establishes a seemingly stable state that is usually an attempt to counteract an underlying fear that the future will be worse than the present. This fear inhibits the tendency to question at all. If your misperception is all that is standing in your way, why wait till tomorrow to make the correction? Do it right away. [page 39] Only your misperceptions stand in your way. Without them your choice is certain. Sane perception induces sane choosing. I cannot choose for you, but I can help you make your own right choice. "Many are called but few are chosen" should be, "All are called but few choose to listen." Therefore, they do not choose right. The "chosen ones" are merely those who choose right sooner. Right minds can do this now, and they will find rest unto their souls. God knows you only in peace, and this is your reality. Do you hope for things to get better in your life? Do you wish the world was a safer place in which to live? Hoping and wishing are futile gestures. The narrator makes this clear. He says, in effect, "Don't wish for more water in your teacup — will yourself a bucketful!" [page 44] Wishes are not facts. To wish is to imply that willing is not sufficient. Yet no one in his right mind believes that what is wished is as real as what is willed. Instead of "Seek ye first the Kingdom of Heaven" say, "Will ye first the Kingdom of Heaven," and you have said, "I know what I am and I accept my own inheritance." "Thus a Teacher, So Also a Learner" is MR#29 which I first penned in 1977 as I was reading a lot of Sufi material. When I read this book and reached page 47, I was startled to see the principle enunciated so clearly, "Teacher and pupil are alike in the learning process." Here are two operant quotes from the Text. [page 47, 48] A good teacher clarifies his own ideas and strengthens them by teaching them. Teacher and pupil are alike in the learning process. They are in the same order of learning, and unless they share their lessons conviction will be lacking. A good teacher must believe in the ideas he teaches, but he must meet another condition; he must believe in the students to whom he offers the ideas. . . . Learning is ultimately perceived as frightening because it leads to the relinquishment, not the destruction, of the ego to the light of the spirit. [page 48, 49] Teaching and learning are your greatest strengths now, because they enable you to change your mind and help others to change theirs. . . . Every good teacher hopes to give his students so much of his own learning that they will one day no longer need him. This is the one true goal of a teacher. It is impossible to convince the ego of this because it goes against all of its own laws. But remember that laws are set up to protect the continuity of the system in which the lawmaker believes. In the section titled, "The Ego and False Autonomy", we can see laid out for us the house of cards which forms the ego. The ego is our own creation and we treat it with love, protection, and charity. We fight anything which would appear to weaken our ego, just as "babies scream in rage if you take away a knife or scissors, although they may well harm themselves if you do not. In this sense you are still a baby." (Page 52). [page 52] To the ego, to give anything implies that you will have to do without it. When you associate giving with sacrifice, you give only because you believe that you are somehow getting something better, and can therefore do without the thing you give. "Giving to get" is an inescapable law of the ego, which always evaluates itself in relation to other egos. . . . Appetites are "getting" mechanisms, representing the ego's need to confirm itself. The ego referred to in the Text is the little "ego" or the personal self, not the Ego Body or "I Am" which is Rudolf Steiner's way of describing the immortal human spirit. One must make the appropriate translation when reading the Text. One can read in the next passage why people with large egos spend a lot of time in a group with other people: they use the time to make comparisons with others or to attack others in their group. While the ego does all these things to get the spirit's (I Am) attention, its attempts are futile because the spirit does not know of the ego's existence. Even so, the ego perceives that it is being rejected by the spirit. For the ego to have self-esteem it must delude itself. The ego makes massive attempts at creation myths to justify its existence, because it reasons that if it has a creation, it must exist. This is the ego's battle for survival, rightly understood. [page 53] The ego believes it is completely on its own, which is merely another way of describing how it thinks it originated. This is such a fearful state that it can only turn to other egos and try to unite with them in a feeble attempt at identification, or attack them in an equally feeble show of strength. It is not free, however, to open the premise to question because the premise is its foundation. The ego is the mind's belief that it is completely on its own. The ego's ceaseless attempts to gain the spirit's acknowledgment and thus establish its own existence are useless. Spirit in its knowledge is unaware of the ego. It does not attack; it merely cannot conceive of it at all. While the ego is equally unaware of spirit, it does perceive itself as being rejected by something greater than itself. This is why self-esteem in ego terms must be delusional. The creations of God do not create myths, although creative effort can be turned to mythology. It can do so, however, only under one condition; what it makes is then no longer creative. Myths are entirely perceptual, and so ambiguous in form and characteristically good-and-evil in nature that the most benevolent of them is not without fearful connotations. Myths and magic are closely associated, since myths are usually related to ego origins, and magic to the powers the ego ascribes to itself. Mythological systems generally include some account of "the creation," and associate this with its particular form of magic. The so-called "battle for survival" is only the ego's struggle to preserve itself, and its interpretation of its own beginning. This beginning is usually associated with physical birth, because it is hard to maintain that the ego existed before that point in time. The more "religiously" ego-oriented may believe that the soul existed before, and will continue to exist after a temporary lapse into ego life. Some even believe that the soul will be punished for this lapse. However, salvation does not apply to spirit, which is not in danger and does not need to be salvaged. Spirit and ego are orthogonal to each other. Each exists without knowledge of the other. Spirit receives true perception and receives unmediated knowledge directly from it. This is a knowledge which never involves comparisons. (page 54) The ego operates on comparisons, builds continuums, and uses opposites to understand what it misperceives. How does the ego understand "The Kingdom of Heaven is within you"? [page 54] It is hard to understand what "The Kingdom of Heaven is within you" really means. This is because it is not understandable to the ego, which interprets it as if something outside is inside, and this does not mean anything. The word "within" is unnecessary. The Kingdom of Heaven is you. What else but you did the Creator create, and what else but you is His Kingdom? . . . . Your ego and your spirit will never be co-creators, but your spirit and your Creator will always be. Be confident that your creations are as safe as you are. The Kingdom is perfectly united and perfectly protected, and the ego will not prevail against it. Amen. [page 54, 55] This is written in the form of a prayer because it is useful in moments of temptation. It is a declaration of independence. You will find it very helpful if you understand it fully. The reason you need my help is because you have denied your own Guide(7) and therefore need guidance. My role is to separate the true from the false, so truth can break through the barriers the ego has set up and can shine into your mind. Against our united strength the ego cannot prevail. Clearly one can see why the ego fights the spirit — the spirit threatens the ego's sense of temporary existence by offering "direct knowledge of permanence and unshakable being." [page 55] No one who has experienced the revelation of this can ever fully believe in the ego again. How can its meager offering to you prevail against the glorious gift of God? If you are not joyous at this moment, know that "this need not be". When you are sad, know this need not be. When you are anxious, know this need not be. When you feel guilty, know this need not be. This is a short summary of the section titled, "This Need Not Be." [page 57] I have said that you cannot change your mind by changing your behavior, but I have also said, and many times, that you can change your mind. When your mood tells you that you have chosen wrongly, and this is so whenever you are not joyous, then know this need not be. What would you think if I said, "All things work together for good"? Would you think me naive, foolish, or stupid? Listen to all the opinions and judgments which run through your mind as you read this statement: "All things work together for good." If you wonder how ego works in you, you have just now witnessed a demonstration of it in operation. Rightly understood, the ego operates as a crazy judge, one who prefers control to sanity. If the world seems insane to you by what you see happening around the world, you will know why: the ego is in control and is more interested in control than sanity. [page 59] All things work together for good. There no exceptions except in the ego's judgment. The ego exerts maximal vigilance about what it permits into awareness, and this is not the way a balanced mind holds together. The ego is thrown further off balance because it keeps its primary motivation from your awareness, and raises control rather than sanity to predominance. The ego has every reason to do this, according to the thought system which gave rise to it and which it serves. Sane judgment would inevitably judge against the ego, and must be obliterated by the ego in the interest of its self-preservation. If absorbing all these concepts seems a burden to you the narrator has a simple message which will lighten your burden. [page 71] Remember that "yoke" means "join together," and "burden" means "message." Let us restate "My yoke is easy and my burden light" in this way: "Let us join together, for my message is Light." The ego does not join, but it keeps to itself, and this makes it weak. It cannot stand against those who seek Atonement which is the ultimate joining together. [page 74, 75] The Atonement is the guarantee of the safety of the Kingdom, and the union of the Sonship is its protection. The ego cannot prevail against the Kingdom because the Sonship is united. In the presence of those who hear the Holy Spirit's call to be as one, the ego fades away and is undone. What the ego makes it keeps to itself, and so it is without strength. Its existence is unshared. It does not die; it was merely never born. Physical birth is not a beginning; it is a continuing. Everything that continues has already been born. About twenty-five years ago when I first began studying the field which would later become a trademarked name, NLP, I learned to utilize the tools from the seminars right away. Do it right away, Kid! became my motto long before I acronymed it as DIRAK and preserved it in a piece of pixel amber as MR#7. "Kid" can be a noun one uses with a child or a close friend or it can be a verb which means have fun with. Having fun with new tools was and still is my greatest joy. I came to call the intense periods during the weeks following an NLP seminar when I trotted out my tools on every possible occasion: Neophyte Fever. I was strengthening my new tool-muscles while sharing by example the processes I had recently learned. In this next passage, the narrator shares His need to share His ideas with us. [page 75, 76] Teaching is done in many ways, above all by example. Teaching should be healing, because it is the sharing of ideas and the recognition that to share ideas is to strengthen them. I cannot forget my need to teach what I have learned, which arose in me because I learned it. I call upon you to teach what you have learned, because by so doing you can depend on it. Make it dependable in my name because my name is the Name of God's Son. What I learned I give you freely, and the Mind that was in me rejoices as you choose to hear it. . . . My part in the Atonement is not complete until you join it and give it away. As you teach, so shall you learn. Sometime during the twenty-five years since I began studying this Course, I started taking notice of when the ego appeared in my world, either in myself or in others. If reading, I would scribble a quick note in the margin, "Ther'ego again." "There goes the ego again" is the message, or "There he goes again trotting out his ego." Each time I wrote that I strengthened my ability to spot the presence of the ego, especially in myself. Oops, ther'ego again. It might be useful to list some statements the narrator makes about the ego as I go through the Text, so I will accumulate them below in one place so that no ego can miss them or overlook seeing itself reflected in the words. [page 72 ] Delay is of the ego, because time is its concept. [page 73] Peace is the ego's greatest enemy because, according to its interpretation of reality, war is the guarantee of its survival. [page 77] The ego's purpose is fear, because only the fearful can be egoistic. [page 77] The ego is quite literally a fearful thought. [page 78] The ego believes that by punishing itself it will mitigate the punishment of God. [page 80] The ego's decisions are always wrong, because they are based on the error they were made to uphold. [page 80] Nothing the ego perceives is interpreted correctly. [page 80] Not only does the ego cite Scripture for its purposes, but it even interprets Scripture as a witness for itself. [page 80] The Bible is a fearful thing in the ego's judgment. [page 91] The ego projects to exclude, and therefore to deceive. [page 100] Remember, however, that what the Holy Spirit rejects the ego accepts. [page 109] The ego does not want to teach everyone all it has learned, because that would defeat its purpose. Therefore it does not really learn at all. [page 122] The whole purpose of this course is to teach you that the ego is unbelievable and will forever be unbelievable. [page 128] The ego's voice is a hallucination. [page 129] As a teacher, then, the ego is totally confused and totally confusing. [page 147] The ego despises weakness, even though it makes every effort to induce it. [page 147] The ego only wants what it hates. [page 157] The ego's plan is to have you see error clearly first, and then overlook it. [page 165] Self-inflation of the ego is its alternative to the grandeur of God. [page 166] The ego depends solely on your willingness to tolerate it. [page 189] Minimizing fear, but not its undoing, is the ego's constant effort. [page 190] If the ego's goal of autonomy could be accomplished God's purpose could be defeated. [page 190] The ego analyzes; the Holy Spirit accepts. [page 191] The ego focuses on error and overlooks truth. [page 211, 212] The ego is trying to teach you how to gain the whole world and lose your own soul. [page 223, 224] The ego's destructive urge is so intense that nothing short of the crucifixion of God's Son can ultimately satisfy it. [page 224] To the ego, the ego is God. [page 229, paraphrase] The ego makes the future like the past and thereby avoids the present. [page 281] Hell is what the ego has made of the present. [page 295] The ego wishes no one well. [page 324] Do not underestimate the intensity of the ego's drive for vengeance on the past. It is completely savage and completely insane. For the ego remembers everything you have done that has offended it, and seeks retribution of you. [page 331] For time is cruel in the ego's hands, as it is kind when used for gentleness. [page 389] What the ego loves, it kills for its obedience. But what obeys it not, it cannot kill. [page 442] The ego's whole continuance depends on its belief you cannot learn this course. [page 466] Comparison must be an ego device, for love makes none. Specialness always makes comparisons. How can the above list of attributes of the ego be useful to you? It can lead you to salvation — as this next passage points out. [page 92] Since you cannot not teach, your salvation lies in teaching the exact opposite of everything the ego believes. This is how you will learn the truth that will set you free, and will keep you free as others learn it of you. The only way to have peace is to teach peace. By teaching peace you must learn it yourself, because you cannot teach what you still dissociate. Only thus can you win back the knowledge that you threw away. An idea that you share you must have. It awakens in your mind through the conviction of teaching it. Everything you teach you are learning. Teach only love, and learn that love is yours and you are love. What is the process of projection? It can be thought of as the seeing in others what is going on inside of yourself, and the what is going on inside yourself is not visible directly to you, so your mind and body focuses your attention on someone in your surroundings who has a similar process going on inside of them. Your intense reaction to that someone can make you angry. "Look at him! Doesn't he know how he makes other people feel when he does that?" I can remember saying that many times and not realizing the truth I was speaking about myself in the process. I was getting angry because of things I was doing and it showed up in the way I got upset over what others did. How can you know if you are projecting? Check whether you are angry. [page 89] What you project you disown, and therefore do not believe is yours. You are excluding yourself by the very judgment that you are different from the one on whom you project. Since you have also judged against what you project, you continue to attack it because you continue to keep it separated. By doing this unconsciously, you try to keep the fact that you attacked yourself out of awareness, and thus imagine that you have made yourself safe. . . . Anger without projection is impossible. The narrator says on page 95 that the Holy Spirit never commands. "To command is to assume inequality, which the Holy Spirit demonstrates does not exist." The Holy Spirit treats us rather like children who are asleep and wants us to know that the night is over and the light has come. Would you tell the children loudly, "Wake up! The night is over. Don't do this or that or you will be hurt because the world is unsafe!" No, you would rather say "Do only this." What you create in words, children picture. If you tell a child that you are leading down a flight of steps, "Don't trip," they will quickly imagine tripping and may trip because of the fearful image they have created due to your words. [page 96] How can you wake children in a more kindly way than by a gentle Voice That will not frighten them, but will merely remind them that the night is over and the light has come? You do not inform them that the nightmares that frightened them so badly are not real, because children believe in magic. You merely reassure them that they are safe now. Then you train them to recognize the difference between sleeping and waking, so they will understand they need not be afraid of dreams. And so when bad dreams come, they will themselves call on the light to dispel them. A wise teacher teaches through approach, not avoidance. He does not emphasize what you must avoid to escape from harm, but what you need to learn to have joy. Consider the fear and confusion a child would experience if he were told, "Do not do this because it will hurt you and make you unsafe; but if you do that instead, you will escape from harm and be safe, and then you will not be afraid." It is surely better to use only three words: "Do only that!" This simple statement is perfectly clear, easily understood and very easily remembered. Someone asked a famous general, "How do you ensure that your men will follow your commands?" He answered saying, "If they are the least bit reluctant, I will change the situation until they are eager." If something is worth doing, you can always find someone for whom it would be their heart's desire to do it. If you can’t find anyone, either don’t do it or change it until it becomes someone’s heart’s desire. All good generals, managers, and teachers will realize the wisdom in that, and do only that. [page 98] All good teachers realize that only fundamental change will last, but they do not begin at that level. Strengthening motivation for change is their first and foremost goal. It is also their last and final one. Increasing motivation for change in the learner is all that a teacher need do to guarantee change. Change in motivation is a change of mind, and this will inevitably produce fundamental change because the mind is fundamental. In one of Carlos Castaneda's books(8), Carlos did not buy don Juan's claim of safety wherever he went. Eventually Carlos asked, "But suppose you were walking down a street and a sniper with a high-powered rifle with a telescopic sight were waiting for you?" Don Juan looked at Carlos and said simply, "I would not be walking down that street." Don Juan was, in the words of the next passage, healing Carlos by sharing the Holy Spirit with him. In Phase 7 work in Ortho-Bionomy®, we are taught to notice the feeling we get when working with a client and to release that feeling in us which, at the same time, releases and heals the client. If this sounds too simple to work, perhaps your ego may be rejecting this as possible, but remember that the Holy Spirit accepts what the ego rejects. Carlos's ego analyzed a situation where don Juan would necessarily be shot, and don Juan simply shared the safety he projected as real for himself with Carlos. [page 106] To heal, then, is to correct perception in your brother and yourself by sharing the Holy Spirit with him. This places you both within the Kingdom, and restores its wholeness in your mind. This reflects creation, because it unifies by increasing and integrates by extending. What you project or extend is real for you. This is an immutable law of the mind in this world as well in the Kingdom. When teachers of any kind are not aware of the flow of teaching coming back from their learners, they do not recognize the delicate balance of teaching and learning. They perceive themselves as giving and not receiving. They come to expect gratitude from the learners and do not show gratitude in return, having received only some fee for services performed in return. Such teachers are "unhealed healers" as discussed in this next paragraph. They will burn out quickly in their selected profession and become puzzled as to how their colleagues could ever enjoy the work they find such a drudge. [page 112] The unhealed healer wants gratitude from his brothers, but he is not grateful to them. That is because he thinks he is giving something to them, and is not receiving something equally desirable in return. His teaching is limited because he is learning so little. His healing lesson is limited by his own ingratitude, which is a lesson in sickness. True learning is constant, and so vital in its power for change that a Son of God can recognize his power in one instant and change the world in the next. That is because, by changing his mind, he has changed the most powerful device that was ever given for change. If you deny the possibility that your mind is so powerful, you are right. You are right for the simple reason that you have rendered it powerless by the power of your belief. Thus your ego is able to prove itself right in its insane supposition that your mind is powerless. [page 114, 115] The ingeniousness of the ego to preserve itself is enormous, but it stems from the very power of the mind the ego denies. This means that the ego attacks what is preserving it, which must result in extreme anxiety. That is why the ego never recognizes what it is doing. It is perfectly logical but clearly insane. The ego draws upon the one source that is totally inimical to its existence for its existence. Fearful of perceiving the power of this source, it is forced to depreciate it. This threatens its own existence, a state which it finds intolerable. Remaining logical but still insane, the ego resolves this completely insane dilemma in a completely insane way. It does not perceive its existence as threatened by projecting the threat onto you, and perceiving your being as nonexistent. This ensure its continuance if you side with it, by guaranteeing that you will not know your own Safety. The world of ego is weak and those who are weak do attack. But if the ego attacks you and you experience oneness with the Creator, your wholeness, sanity, and limitless power will be impervious to the ego's attack. You will not be walking on that street, as don Juan told Carlos. Your oneness with God gives you limitless power. [page 116, 117] This limitless power is God's gift to you, because it is what you are. If you dissociate your mind from it you are perceiving the most powerful force in the universe as if it were weak, because you do not believe you are part of it. Perceived without your part in it, God's creation is seen as weak, and those who see themselves as weakened do attack. The attack must be blind, however, because there is nothing to attack. Therefore they make up images, perceive them as unworthy and attack them for their unworthiness. That is all the world of the ego is. Nothing. It has no meaning. It does not exist. That is the best explanation I have ever found for why don Juan could say to Carlos with absolute certainty of safety, "I would not be walking down that street." How can you be afraid of what does not exist? The sniper was only an image created by Carlos's ego. And, by the way, don't try to figure out what does not exist. [page 117] Do not try to understand it because, if you do, you are believing that it can be understood and is therefore capable of being appreciated and loved. That would justify its existence, which cannot be justified. You cannot make the meaningless meaningful. This can only be insane attempt. . . . Allowing insanity to enter your mind means that you have not judged sanity as wholly desirable. If you want something else you will make something else, but because it is something else, it will attack your thought system and divide your allegiance. You cannot create in this divided state, and you must be vigilant against this divided state because only peace can be extended. Your divided mind is blocking the extension of the Kingdom, and its extension is your joy. If you do not extend the Kingdom, you are not thinking with your Creator and creating as He created. What did Jesus do when He confronted insanity? He welcomed it as an opportunity to bless the afflicted person and the affliction left. "What can I do?" you may ask, dear Reader, if you think you cannot perform miracles, up until now. [page 118] When a brother acts insanely, he is offering you an opportunity to bless him. His need is yours. You need the blessing you can offer him. There is no way for you to have it except by giving it. Today after some twenty-five years we sold a fourplex apartment, in effect, withdrawing all our investment in the apartment. As long as we had an investment in the fourplex, I was on-call to solve every problem which arose in either of the four sets of tenant's living spaces. But those problems will have no more life for me because I have put them out of my mind. Illusions, the Text says, are investments. Do you think not? Read on. [page 118] Illusions are investments. They will last as long as you value them. Values are relative, but they are powerful because they are mental judgments. The only way to dispel illusions is to withdraw all investment from them, and they will have no life for you because you will have put them out of your mind. While you include them in it, you are giving your life to them. If you wish to undo the power of the ego in your life, simply withdraw all your investment in the ego. How can you do that? Perceive the ego as the empty illusion it is. Do that now. [page 120] Perceive any part of the ego's thought system as wholly insane, wholly delusional and wholly undesirable, and you have correctly evaluated all of it. . . . The gifts you offer to the ego are always experienced as sacrifices, but the gifts you offer to the Kingdom are gifts to you. Let us consider the two Laws of Form as promulgated by G. Spencer Brown(9). The Reversed First Law is the form of Replication. Reverse application of the First Law creates more of what you started with. The Second Law is the form of Annihilation. Application of the Second Law wipes out or annihilates what you started with. The Reversed Second Law is the form of Creation. The fundamental law of sharing described below is an application of the First Law, the form of Replication, which is equivalent to the law of extension. [page 120] To the Holy Spirit it is the fundamental law of sharing, by which you give what you value in order to keep it in your mind. To the Holy Spirit it is the law of extension. Where the Holy Spirit sees abundance (Reversed First Law: Replication), the ego sees scarcity (First Law of Condensation). [page 120] To the Holy Spirit it (the fundamental law of sharing) is the law of extension. To the ego it is the law of deprivation. It therefore produces abundance or scarcity, depending on how you choose to apply it. The Reversed Form of the Second Law is Creation and is the method used by the ego to create something where nothing existed before, namely conflict in other minds, in a vain attempt to free you of conflict. It creates conflict out of peace. [page 120, 121] The ego's use of projection and anger can be finally undone. The ego always tries to preserve conflict. It is very ingenious in devising ways that seem to diminish conflict, because it does not want you to find conflict so intolerable that you will insist on giving it up. The ego therefore tries to persuade you that it can free you of conflict, lest you give the ego up and free yourself. Using its own warped version of the laws of God, the ego utilizes the power of the mind only to defeat the mind's real purpose. It projects conflict from your mind to other minds, in an attempt to persuade you that you have gotten rid of the problem. In a lecture on literature, Professor Arnold Weinstein of Brown University said about the murder victims in Edgar Alan Poe's stories, such as "The Telltale Heart", "You may kill them, but you can't get rid of them." This led me to understand that murder is the illusion that you can get rid of someone by killing them. This is consonant with what is called the "second error" in the next passage, "the idea that you can get rid of something you do not want by giving it away." Like the bag of trash you mistakenly took to work with you on the subway, thinking it was your lunch, if you attempt to leave it behind, invariably some helpful person will return it to you. The ego tries to project conflict to other minds to convince you your problem has gone. Like any murderer, if the ego performs this projection for you, you will be constantly vigilant without knowing why — and the vigilance will escalate into anxiety and anomie. [page 121] There are two major errors involved in this attempt. First, strictly speaking, conflict cannot be projected because it cannot be shared. Any attempt to keep part of it and get rid of another part does not really mean anything. Remember that a conflicted teacher is a poor teacher and a poor learner. His lessons are confused, and their transfer value is limited by his confusion. The second error is the idea that you can get rid of something you do not want by giving it away. Giving it is how you keep it. The belief that by seeing it outside you have excluded it from within is a complete distortion of the power of extension. That is why those who project are vigilant for their own safety. They are afraid that their projections will return and hurt them. Believing they have blotted out their projections from their own minds, they also believe their projections are trying to creep back in. Since the projections have not left their minds, they are forced to engage in constant activity in order not to recognize this. Only if something is already within can you see it without. If something is within you and your ego denies it and eliminates it, that same something will appear outside of you in those around you. What your ego kills in you, will then follow you around everywhere you go, just like the ghost of a murder victim does to its murderer. What’s the answer? Withdraw your belief from the ego. And do it now. [page 121] It depends on your mind, and as you made it by believing in it, so you can dispel it by withdrawing belief from it. Do not project the responsibility for your belief in it onto anyone else, or you will preserve the belief. When you are willing to accept sole responsibility for the ego's existence you will have laid aside all anger and all attack, because they come from an attempt to project responsibility for your own errors. But having accepted the errors as yours, do not keep them. Give them over quickly to the Holy Spirit to be undone completely, so that all their effects will vanish from your mind and from the Sonship as a whole. In his book, The Soul's Long Journey, Edward Reaugh Smith writes about how the parable of the Prodigal Son is the story of our souls as we journey from lifetime to lifetime. We must take heart that no matter how far we travel away from God, no matter how long we reject God, we will yet be welcomed with open arms when we return home. [page 138] Listen to the story of the prodigal son, and learn what God's treasure is and yours: This son of a loving father left his home and though he had squandered everything for nothing of any value, although he had not understood its worthlessness at the time. He was ashamed to return to his father, because he thought he had hurt him. Yet when he came home the father welcomed him with joy, because the son himself was his father's treasure. He wanted nothing else. Why are some prayers for healing answered and others are not? It is hard for some people to accept prayer as trustworthy because they note the seemingly erratic effects of prayer. It is only their ego which analyzes this and calls it untrustworthy, however. The narrator lays out the true nature of a prayer for healing that appears not to succeed — it is a request to remove a symptom that one had chosen unconsciously. [page 152] Let us suppose, then, that what you ask of the Holy Spirit is what you really want, but you are still afraid of it. Should this be the case, your attainment of it would no longer be what you want. This is why certain specific forms of healing are not achieved, even when the state of healing is. An individual may ask for physical healing because he is fearful of bodily harm. At the same time, if he were healed physically, the threat to his thought system might be considerably more fearful to him than it physical expression. In this case he is not really asking for release from fear, but for the removal of a symptom that he himself selected. This request is, therefore, not for healing at all. When I studied reframing under Bandler and Grinder in the 1970s, they taught me how to look for the "good intent" underlying the symptoms that the person wanted removed. As I think of the process now, I can understand that the reframing was a way of getting the person to bring a decision into awareness to use a certain behavior to achieve a good intent, which behavior the person was now wanting to remove. Reframing(10) allows such people to remove the offending behavior by replacing it with an equally effective behavior, one which achieves the same good intent without producing the symptoms they wish removed. Thus clients can have the physical expressions of the symptoms removed in a fear-free manner that they have complete control over. Applying the reframing procedure requires one to perceive the sanity inside of another person in order to heal them. That perception of sanity is created by the instruction to look for the good intent — the presupposition is there is a good intent and that very presupposition creates the “perception of sanity” that the Text says is required for healing another person. [page 155, 156] When a brother behaves insanely, you can heal him only by perceiving the sanity in him. If you perceive his errors and accept them, you are accepting yours. If you want to give yours over to the Holy Spirit, you must do this with his. Unless this becomes the one way in which you handle all errors, you cannot understand how all errors are undone. How is this different from telling you that what you teach you learn? Your brother is as right as you are, and if you think he is wrong you are condemning yourself. Every symptom in another, just as every symptom in yourself, has a good intent. Unless you are able to see and understand that in yourself, you will be unable to heal another person because you are unable to heal yourself. To perceive an error instead of a good intention in any unwanted behavior in a person is a real error in yourself and prevents you from seeing the good intention of unwanted behaviors in yourself and in others, up until now. [page 156] You cannot correct yourself. Is it possible, then, for you to correct another? Yet you can see him truly, because it is possible for you to see yourself truly. It is not up to you to change your brother, but merely to accept him as he is. His errors do not come from the truth that is in him, and only this truth is yours. His errors cannot change this, and can have no effect all on the truth in you. To perceive errors in anyone, and to react to them as if they were real, is to make them real to you. You will not escape paying the price for this, not because you are being punished for it, but because you are following the wrong guide and will therefore lose the way. The Last Judgment, as mentioned previously in the page 30 passage, is not some fearful event to be dreaded coming at some distance time in the future, but rather it is the final healing which may come late or come as soon as you wish. Only the ego thinks it will come late, and as a punishment. The ego wants it postponed as long as possible. Ignore the ego's insane pleadings. Welcome the healing now. [page 158] The ego literally lives on borrowed time, and its days are numbered. Do not fear the Last Judgment, but welcome it and do not wait, for the ego's time is "borrowed" from your eternity. This is the Second Coming that was made for you as the First was created. The Second Coming is merely the return of sense. Can this possibly be fearful? What is the ego's plan for forgiveness? It sees sin, error, and attack in onself and projects it upon others. This process makes it difficult for others to heal themselves because they have been given the ego's plan for healing, a plan which, rightly understood, they must overcome before they can be healed. If you have ever heard a minister say, "You are all miserable sinners." you have heard the ego’s plan. If you have ever heard a psychotherapist say, after listening to your problems, "You will have to come here twice a week." you have heard the ego’s plan. [page 159] The ego's plan for forgiveness is far more widely used than God's. This is because it is undertaken by unhealed healers, and is therefore of the ego. Let us consider the unhealed healer more carefully now. By definition, he is trying to give what he has not received. If an unhealed healer is a theologian, for example, he may begin with the premise, "I am a miserable sinner, and so are you." If he is a psychotherapist, he is more likely to start with the equally incredible belief that attack is real for both himself and the patient, but that it does not matter for either of them. I have repeatedly said that beliefs of the ego cannot be shared, and this is why they are unreal. How, then, can "uncovering" them make them real? Every healer who searches fantasies for truth must be unhealed, because he does not know where to look for truth, and therefore does not have the answer to the problem of healing. There is an advantage to bringing nightmares into awareness, but only to teach that they are not real, and that anything they contain is meaningless. The unhealed healer cannot do this because he does not believe it. All unhealed healers follow the ego's plan for forgiveness in one form or another. The Text says on page 160 that "no one has really explained what happens in psychotherapy." It seemed to me when I first read the Text in 1986 that Bandler and Grinder got close to understanding and explaining it, especially with their systematic reframing technique. I could not learn this technique and apply it to others without wanting to apply it to myself first. And once I had done this, I no longer felt a need to apply it to others. I could only present myself an example of someone whose direction had changed, who no longer believed in nightmares. [page 161] When God said, "Let there be light," there was light. Can you find light by analyzing darkness, as the psychotherapist does, or like the theologian, by acknowledging darkness in yourself and looking for a distant light to remove it? Healing is not mysterious. Nothing will change unless it is understood, since light is understanding. A "miserable sinner" cannot be healed without magic, nor can an "unimportant mind" esteem itself without magic. Both forms of the ego's approach, then, must arrive at an impasse; the characteristic "impossible situation" to which the ego always leads. It may help someone to point out where he is heading, but the point is lost unless he is also helped to change his direction. The unhealed healer cannot do this for him, since he cannot do it for himself. The only meaningful contribution the healer can make is to present an example of one whose direction has been changed for him, and who no longer believes in nightmares of any kind. The light in his mind will therefore answer the questioner, who must decide with God that there is light because he sees it. And by his acknowledgment the healer knows it is there. In the computer field, where I worked for many years, we had diagnostic programs which we ran on computers to pinpoint problems. But the diagnosis was always made by human beings of the results of the programs, not by the programs themselves. A broken computer cannot diagnose itself! If it attempted to do that, the very portion of the computer needed to perform the diagnosis may be the very part that is broken, so how could one ever believe in the results from the broken computer? Human beings with an insane belief system are in a similar situation to a broken computer. This happens whenever you "look to the ego to help you escape from a sense of inadequacy it has produced, and must maintain for its existence." You cannot "escape from its evaluation of you by using its methods for keeping this picture (of your Self as unloving) intact." [page 164] You cannot evaluate an insane belief system from within it. Its range precludes this. You can only go beyond it, look back from a point where sanity exists and see the contrast. Only by this contrast can insanity be judged as insane. With the grandeur of God in you, you have chosen to be little and to lament your littleness. Within the system that dictated this choice the lament is inevitable. Your littleness is taken for granted there and you do not ask, "Who granted it?" The question is meaningless within the ego's thought system, because it would open the whole thought system to question. According to Korzybski(11) in 1933, there is a level change from direct awareness of the What Is Going ON (outside world) to the first level of interpretation of awareness. We may think that our first level of perception as solely data from the sensory world, but due to the time delay between events in the outside world and our interpretation of the sensory data from the outside world, what we perceive, without conscious interpretation, is modulated by the stored doylic(12) or bodily memories of our before five-year-old state of existence. There is always a time delay between sensation and knowing, thus knowing is interpretation of the sensory data as modulated by doylic influences. The science of doyletics establishes a mechanism to explain how belief determines perception. [page 192] There has been much confusion about what perception means, because the word is used both for awareness [RJM: sensory data] and for the interpretation of awareness. Yet you cannot be aware without interpretation, for what you perceive is your interpretation. This course is perfectly clear. If you do not see it clearly, it is because you are interpreting against it, and therefore do not believe it. And since belief determines perception, you do not perceive what it means and therefore do not accept it. It may surprise you to learn that atheists, for example, like to be loved by God! If they did not, then why do they mount impassioned defenses against both the possibility of the existence of God and the existence of the love of God? Positive Atheism is an organized attempt to appeal for the love of God by those who have found no other way to achieve it directly and consciously. The passage below lays out how those who rail against love are the ones most in need of it. [page 202] "If you would look upon love, which is the world's reality, how could you do better than to recognize, in every defense against it the underlying appeal for it?" Many years ago my wife Del got hold of a book "You Can Heal Your Life" by Louise Hay and that paperback book has become a much-used and worn reference book for us. Every time someone we know becomes sick, we look up the disease to find what the source of it may be and what the affirmation would be to allow the person to heal themselves. In this next passage the narrator offers a similar lesson to the sick: Heal your life. [page 203] Miracles are merely the translation of denial into truth. If to love oneself is to heal oneself, those who are sick do not love themselves. Therefore, they are asking for the love that would heal them, but which they are denying to themselves. If they knew the truth about themselves they could not be sick. The task of the miracle worker thus becomes to deny the denial of truth. The sick must heal themselves, for the truth is in them. Yet having obscured it, the light in another mind must shine into theirs because that light is theirs. Another important lesson in teaching and learning is presented for us. All of us have learning handicaps in some areas. As such we are not the best ones to design our own curriculum for those areas. Given that, can we expect to ever become excellent teachers and learners? [page 210] You have learning handicaps in a very literal sense. There are areas in your learning skills that are so impaired that you can progress only under constant, clear-cut direction, provided by a Teacher Who can transcend your limited resources. He becomes your Resource because of yourself you cannot learn. The learning situation in which you placed yourself is impossible, and in this situation you clearly require a special Teacher and a special curriculum. Poor learners are not good choices as teachers, either for themselves or for anyone else. You would hardly turn to them to establish the curriculum by which they can escape from their limitations. If they understood what is beyond them, they would not be handicapped. You do not know the meaning of love, and that is your handicap. Do not attempt to teach yourself what you do not understand, and do not try to set up curriculum goals where yours have clearly failed. Your learning goal has been not to learn, and this cannot lead to successful learning. You cannot transfer what you have not learned, and the impairment of the ability to generalize is a crucial learning failure. Would you ask those who have failed to learn what learning aids are for? They do not know. If they could interpret the aids correctly, they would have learned from them. The answer to my previous question is "Yes, we can expect to become excellent teachers and learners." but only under the proper learning conditions, which involves something very simple in principle, but difficult to achieve: "undivided attention." [page 211] You who have tried to learn what you do not want should take heart, for although the curriculum you set yourself is depressing indeed, it is merely ridiculous if you look at it. Is it possible that the way to achieve a goal is not to attain it? Resign now as your own teacher. This resignation will not lead to depression. It is merely the result of an honest appraisal of what you have taught yourself, and of the learning outcomes that have resulted. Under the proper learning conditions, which you can neither provide nor understand, you will become an excellent learner and an excellent teacher. But it is not so yet, and will not be so until the whole learning situation as you have set it up is reversed. What is the plan of a religion which teaches guilt? It is the same as the plan of the ego, a plan which has the effect of making guilt real instead of dispelling it. It wants us to attack the guilt and yet when we attack something we make it stronger. Who would willingly undertake such a folly if they understood it rightly? [page 222] "Guilt, then, is a way of holding past and future in your mind to ensure the ego's continuity. [page 223] "You cannot dispel guilt by making it real, and then atoning for it. This is the ego's plan, which it offers instead of dispelling it. The ego believes in atonement through attack, being fully committed to the insane notion that attack is salvation. And you who cherish guilt must also believe it, for how else but by identifying with the ego could you hold dear what you do not want?" This next passage indicates to me that "Love is the light at the end of the tunnel." [page 226] You have used the world to cover your love, and the deeper you go into the blackness of the ego's foundation, the closer you come to the Love that is hidden there. And it is this that frightens you. The narrator says that "The Holy Spirit needs a happy learner in whom His mission can be happily accomplished." How does one become a happy learner? By letting the Holy Spirit shine the light of truth on you which will radiate from you to others and they will also become happy learners. [page 253, 254] Like you, the Holy Spirit did not make truth. Like God, He knows it to be true. He brings the light of truth into the darkness, and lets it shine on you. And as it shines your brothers see it, and realizing that this light is not what you have made, they see in you more than you see. They will be happy learners of the lesson this light brings to them, because it teaches them release from nothing and from all the works of nothing. The heavy chains that seem to bind them to despair they do not see as nothing, until you bring the light to them. And then they see the chains have disappeared, and so they must have been nothing. And you will see it with them. Because you taught them gladness and release, they will become your teachers in release and gladness. When you teach anyone that truth is true, you learn it with him. And so you learn that what seemed hardest was the easiest. Learn to be a happy learner. [page 359] Minds are joined; bodies are not. Only by assigning to the mind properties of the body does separation seem to be possible and the mind seem to be fragmented, private, and alone. myriads of ideas to the shore. One of the surprising insights which came to me in the Text is that: "Therapy is the act of the ego studying itself." Read this next passage and see if you agree with my summary of it. [page 274] The study of ego is not the study of the mind. In fact, the ego enjoys studying itself, and thoroughly approves the undertakings of students who would "analyze" it, thus approving its importance. Yet they but study form with meaningless content. For their teacher is senseless, though careful to conceal this fact behind impressive sounding words, but which lack any consistent sense when they are put together. Are you dedicated to death? If you are afraid of death, you are dedicated to it. Death would have no hold on you were to you not attracted to it by being afraid of it. Death is but a shadow made by the ego, and like a shadow if you walk past it, it is gone. Exchange death for life and you will have accepted the Holy Spirit's purpose for you. [page 389] The shrouded figures in a funeral procession march not in honor of their Creator, Whose Will it is they live. They are not following His Will; they are opposing it. And what is the black-draped body they would bury? A body which they dedicated to death, a symbol of corruption, a sacrifice to sin, offered to sin to feed upon and keep itself alive; a thing condemned, damned by its maker and lamented by every mourner who looks upon it as himself. You who believe you have condemned the Son of God to this are arrogant. But you who would release him are but honoring the Will of his Creator. The arrogance of sin, the pride of guilt, the sepulcher of separation, all are part of your unrecognized dedication to death. The glitter of guilt you laid upon the body would kill it. For what the ego loves, it kills for its obedience. But what obeys it not, cannot kill. [page 389] "Death, were it true, would be the final and complete disruption of communication, which is the ego's goal. "Those who fear death see not how often and how loudly they call to it, and bid it come to save them from communication. For death is seen as safety, the great dark savior from the light of truth, the answer to the Answer, the silencer of the Voice That speaks for God." and bask in supernal light. This next passage seems fitting for framing on a wall because it reminds us that we can only learn from those who have walked the path we would walk. The sparrows know only obstacles and must flit about close to the ground always avoiding them. They know little of the soaring in the open air of the eagle. "Ask not the sparrow how the eagle soars, for those with little wings have not accepted for themselves the power to share with you." The Holy Spirit can transform sparrows into eagles by removing the obstacles and stretching our wings. [page 404] "The Holy Spirit will go before you making straight your path, and leaving in your way no stones to trip on, and no obstacles to bar your way." This concept is similar to this poem I wrote a year or so before I first read the Text. The poem came after a friend tried to warn me about chuckholes in the road while I was on a cross-country motorcycle trip. Here's the poem, from my book, "Rainbows and Shadows." "How can you ride a motorcycle? Below is a passage from page 426 arranged as a poem because it scans like one. The concept of the "other Self" is explained this way: "There is another vision and Voice in Which your freedom lies, awaiting your choice. And if you place your faith in them, you will perceive another Self in you. This other Self sees miracles as natural. They are as simple and natural to It as breathing to the body. They are the obvious response for calls for help, the only one It makes." Nor could they do so. But minds cannot be separate. This other Self is perfectly aware of this. On page 492, I penned the following poem which seems to me to sum up the apposite relationship of accidents and miracles. On page 568 the Text says, "Whom you forgive is given power to forgive you your illusions." This led me to formulate the following prayer which is similar to a section of the Lord's Prayer, but reminds us that trespasses are based on closely-held illusions. As we forgive others their illusions. In Phase 7 work in Ortho-Bionomy®, we learn to recognize the part in ourselves which has been changed from thinking about or working with another person and, as we heal that part of ourselves, the other person heals. I took this training only a couple of years ago, but in writing this review, I discovered this insight I had written on page 546 which lays out the Phase 7 principle. It also shows in the last paragraph why I chose to stop pursuing psychotherapy as a career — I could not charge for something I got as much from as I gave. that is undergoing the same change as they are. As much as you are an agent of theirs. This next poem that I scribbled at the bottom of page 580 was inspired by this passage on page 439, among other things: "Such is the power of belief. It cannot compromise. And faith in innocence is faith in sin, if the belief excludes one living thing and holds it out, apart from its forgiveness." Quantum mechanics, especially the results of the Bell Theorem, shows us that all things are connected, and there are no things, only waves in the fabric of what we call reality. This gives us good evidence to believe that no living things exist which are not connected, unless the living things are human beings, e.g., atheists, who believe they are not connected to other human beings, and by their very belief make it so, up until now. This review has rambled at times, due in part to the multiple readings I have given the Text over the past 25 years, but I can think of no better way to end it than to quote for you the entire passage entitled "Christmas as the End of Sacrifice." Even though it appears in the middle of the Text, it is a fitting way to close our thoughts on the Text and prepare ourselves for the new year we have before us as we walk into a world of miracles in our lives. A world in which guilt is dispelled as an unworthy illusion, the ego is recognized as the source of our limitations, and Christmas is seen as the end of sacrifice. Fear not to recognize the whole idea of sacrifice as solely of your making. And seek not safety by attempting to protect yourself from where it is not. Your brothers and your Father have become very fearful to you. And you would bargain with them for a few special relationships, in which you think you see some scraps of safety. Do not try longer to keep apart your thoughts and the Thought that has been given you. When they are brought together and perceived where they are, the choice between them is nothing more than a gentle awakening, and as simple as opening your eyes to daylight when you have no more need of sleep. The sign of Christmas is a star, a light in darkness. See it not outside yourself, but shining in the Heaven within, and accept it as the sign the time of Christ has come. He comes demanding nothing. No sacrifice of any kind, of anyone, is asked by Him. In His Presence the whole idea of sacrifice loses all meaning. For He is Host to God. And you need but invite Him in Who is there already, by recognizing that His Host is One, and no thought alien to His Oneness can abide with Him there. Love must be total to give Him welcome, for the Presence of holiness creates the holiness that surrounds it. No fear can touch the Host Who cradles God in the time of Christ, for the Host is as holy as the Perfect Innocence which He protects, and Whose power protects Him. This Christmas give the Holy Spirit everything that would hurt you. Let yourself be healed completely that you may join with Him in healing, and let us celebrate our release together by releasing everyone with us. Leave nothing behind, for release is total, and when you have accepted it with me you will give it with me. All pain and sacrifice and littleness will disappear in our relationship, which is as innocent as our relationship with our Father, and as powerful. Pain will be brought to us and disappear in our presence, and without pain there can be no sacrifice. And without sacrifice there love must be. You who believe that sacrifice is love must learn that sacrifice is separation from love. For sacrifice brings guilt as surely as love brings peace. Guilt is the condition of sacrifice, as peace is the condition for the awareness of your relationship with God. Through guilt you exclude your Father and your brothers from yourself. Through peace you invite them back, realizing that they are where your invitation bids them be. What you exclude from yourself seems fearful, for you endow it with fear and try to cast it out, though it is part of you. Who can perceive part of himself as loathsome, and live within himself in peace? And who can try to resolve the "conflict" of Heaven and hell in him by casting Heaven out and giving it the attributes of hell, without experiencing himself as incomplete and lonely? As long as you perceive the body as your reality, so long will you perceive yourself as lonely and deprived. And so long will you also perceive yourself as a victim of sacrifice, justified in sacrificing others. For who could thrust Heaven and its Creator aside without a sense of sacrifice and loss? And who could suffer sacrifice and loss without attempting to restore himself? Yet how could you accomplish this yourself, when the basis of your attempts is the belief in the reality of the deprivation? Deprivation breeds attack, being the belief that attack is justified. And as long as you would retain the deprivation, attack becomes salvation and sacrifice becomes love. So is it that, in all your seeking for love, you seek for sacrifice and find it. Yet you find not love. It is impossible to deny what love is and still recognize it. The meaning of love lies in what you have cast outside yourself, and it has no meaning apart from you. It is what you prefer to keep that has no meaning, while all that you would keep away holds all the meaning of the universe, and holds the universe together in its meaning. Unless the universe were joined in you it would be apart from God, and to be without Him is to be without meaning. In the holy instant the condition of love is met, for minds are joined without the body's interference, and where there is communication there is peace. The Prince of Peace was born to re-establish the condition of love by teaching that communication remains unbroken even if the body is destroyed, provided that you see not the body as the necessary means of communication. And if you understand this lesson, you will realize that to sacrifice the body is to sacrifice nothing, and communication, which must be of the mind, cannot be sacrificed. Where, then, is sacrifice? The lesson I was born to teach, and still would teach to all my brothers, is that sacrifice is nowhere and love is everywhere. For communication embraces everything, and in the peace it re-establishes, love comes of itself. Let no despair darken the joy of Christmas, for the time of Christ is meaningless apart from joy. Let us join in celebrating peace by demanding no sacrifice of anyone, for so you offer me the love I offer you. What can be more joyous than to perceive we are deprived of nothing? Such is the message of the time of Christ, which I give you that you may give it and return it to the Father, Who gave it to me. For in the time of Christ communication is restored, and He joins us in the celebration of His Son's creation. God offers thanks to the holy host who would receive Him, and lets Him enter and abide where He would be. And by your welcome does He welcome you into Himself, for what is contained in you who welcome Him is returned to Him. And we but celebrate His Wholeness as we welcome Him into ourselves. Those who receive the Father are one with Him, being host to Him Who created them. And by allowing Him to enter, the remembrance of the Father enters with Him, and with Him they remember the only relationship they ever had, and ever want to have. "I give you to the Holy Spirit as part of myself. use you to imprison myself. Because I recognize that we will be released together." So will the year begin in joy and freedom. There is much to do, and we have been long delayed. Accept the holy instant as this year is born, and take your place, so long left unfulfilled, in the Great Awakening. Make this year different by making it all the same. And let all your relationships be made holy for you. This is our will. Footnote 1. A thought I scribbled in the front leaf which may indicate what you will be able to achieve for yourself by studying this Course. Footnote 2. See review of Volume 2: Workbook at http://www.doyletics.com/art/course2.htm . Footnote 3. My records show that I was reading this Text poolside in Marsh Harbor, the Bahamas, on the day that President Ronald Reagan was shot. Footnote 4. This theme is elaborated in my Essay, Art is the Process of Destruction, at http://www.doyletics.com/artpofd.htm. Footnote 5. This subject is dealt with in detail in my review of Evolution and the New Gnosis at http://www.doyletics.com/arj/evolutio.htm. Footnote 6. Iolanthe is the fairy of the Gilbert & Sullivan Operetta of the same name. Footnote 7. It seems clear that the Guide referred to here is one's Guardian Angel, which many people cease to believe in as they grow older. By thus denying their personal spiritual Guide's existence, they lose the benefit of its guidance. See my Guardian Angel review at: http://www.doyletics.com/arj/guardian.htm. Return to text directly before Footnote 7. Footnote 8. You can read my reviews of Carlos Castaneda's books by starting with the first one, The Teachings of don Juan, here: http://www.doyletics.com/art/donjuan.htm. I don't know which book this story of the sniper question appears in, as I heard this story in an NLP seminar. It may be none of the books, but the story as a metaphor for don Juan's power and protection is still valid. Return to text directly before Footnote 8. Footnote 9. These Laws of Form are explained in detail in my review of G. Spencer Brown's book by the same name at: http://www.doyletics.com/art/lofmart.htm. Return to text directly before Footnote 9. Footnote 10. For an example of two case studies of Reframing at http://www.doyletics.com/reframe.htm. Note especially the words of Sylvia in the second case study which reveal her fear: "Just wanted to let you know the nausea was to keep me from crying. I was holding back tears for which I was always punished when they appeared. I brought back the forgotten experience of being hit and told 'there now you have something to cry about'." Sylvia added, "It was especially helpful to tell myself 'Nothing like this is happening to me now'." which sounds very much like a statement from this Text. Return to text directly before Footnote 10. Footnote 11. Read my review of Alfred Korzysbki's book Science and Sanity which became the basis for the field of General Semantics at: http://www.doyletics.com/art/sciencea.htm. Return to text directly before Footnote 11. Footnote 12. Read more about how doylic memory works and how you can use it to your benefit here: http://www.doyletics.com/introduc.htm. Return to text directly before Footnote 12.